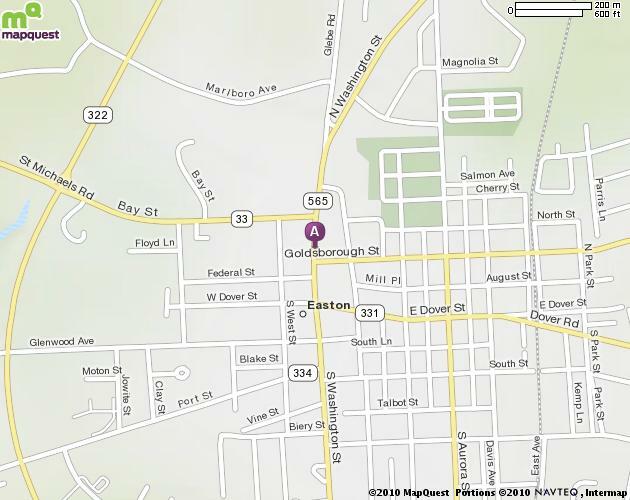 Office Location - The Register of Wills Office is located in the Talbot County Courthouse, 11 North Washington Street, Easton, Maryland. Approximately 27 miles. Travel East on US-50 E/US 301 N. Take the US 50-East exit toward Ocean City. Turn slight right onto MD-322 (Easton Parkway). Go to the fourth light (Bay Street) turn left, proceed to the next light (Washington Street) turn right, straight at signal light. Proceed to the Courthouse at 11 North Washington Street. Follow I-95 South to Route 896 toward Middletown, Delaware. Continue on Route 896 (turns into Route 301) approximately 35 miles to Route 213 S. Exit on Route 213 toward Easton. Turn left on Route 50 South. Travel approximately 11 miles to Easton. Turn slight right onto MD-322 (Easton Parkway). Go to the fourth light (Bay Street) turn left, proceed to the next light (Washington Street) turn right, straight at signal light. 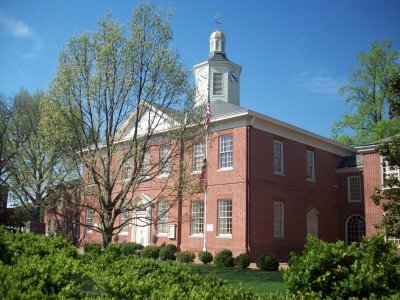 Proceed to the Courthouse at 11 North Washington Street. Follow US 50 North across the Choptank River toward Easton; continue on US 50 approximately 12 miles after crossing the bridge; turn left onto MD-322 (Easton Parkway). Continue on MD-322 to the third traffic light (Bay Street), turn right. Proceed to the next light (Washington Street) turn right, straight at signal light. 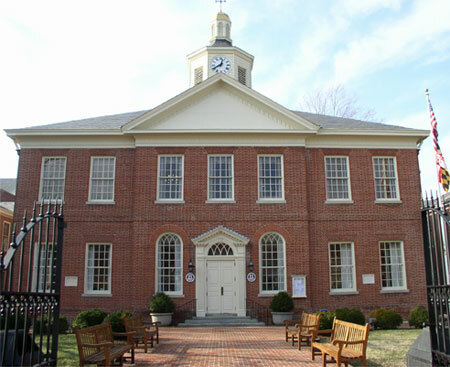 Proceed to the Courthouse at 11 North Washington Street. 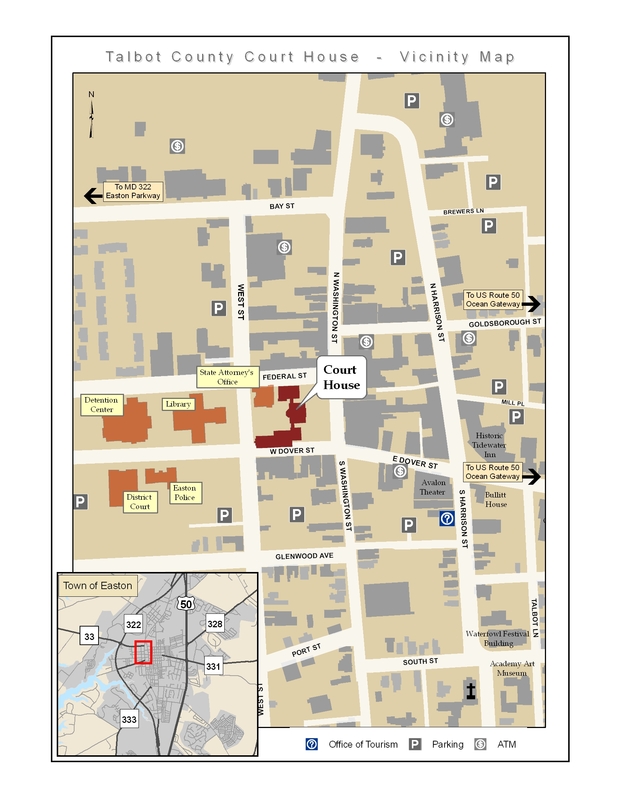 Metered parking is available on Washington Street and side streets adjacent to the Courthouse.